The work's title, which means in Basque 'leave me alone', is the name of a house owned by Rose and Arthur Wheeler near Biarritz where Man Ray stayed and made an avant-garde film of the same name in 1925. This film, which Man Ray termed a 'cinepoem', was first shown in November 1926, and was hailed as a great piece of cinematography that melded aspects of dada and surrealism. The original version of the object was shown briefly in the film but was lost subsequently. An edition of ten examples was made in silver in 1970 by the Studio Marconi, Milan, the same year Man Ray made this second original using wood. According to his assistant, Lucien Treillard, Man Ray did not particularly like the edition which had made the object appear too precious. He instructed Treillard to source materials in music shops. 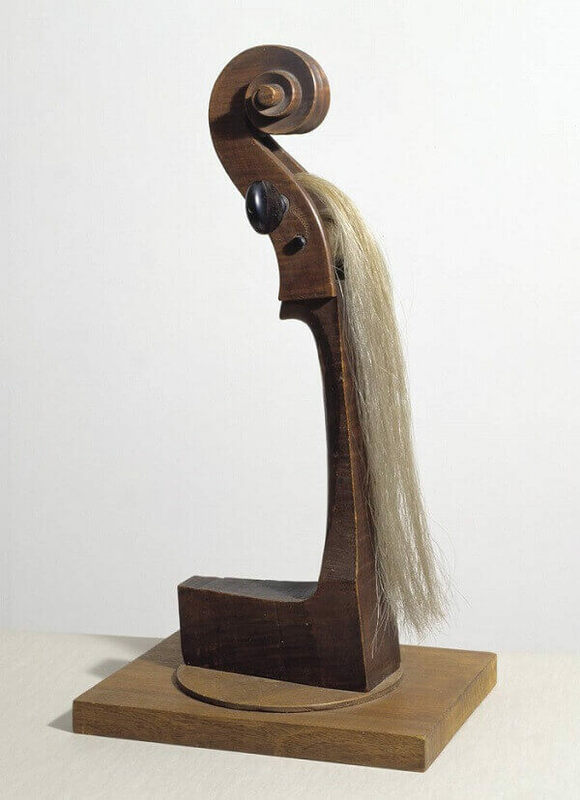 The piece is unsigned but listed in the 1983 Paris catalogue of Man Ray's objects.